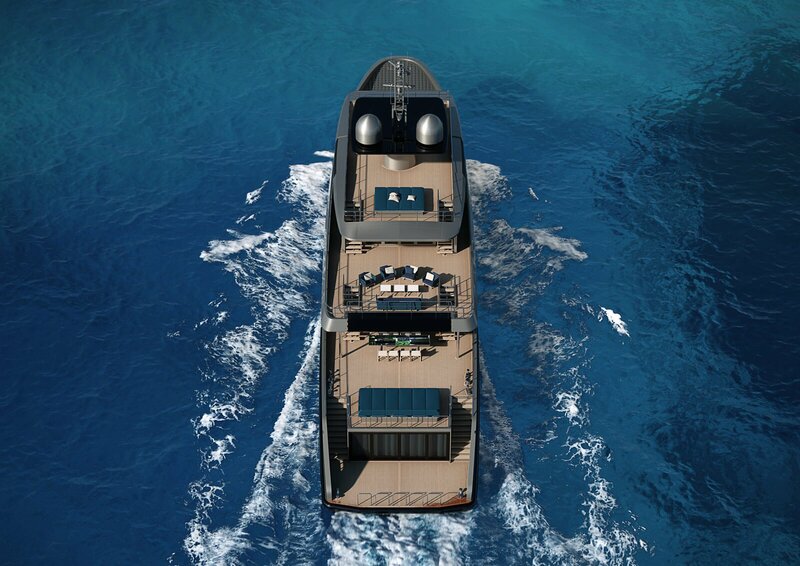 Nothing compares to the sense of freedom, exclusivity and privacy of owning a luxury yacht. Yet increasingly ownership is plagued by newrules and regulations, increasing maintenanceand berthing fees, and crews whose demands arebecoming ever more challenging. Fiscal nightmares have increased a hundred-foldfor what, in the collective mind, is a wonderful toy and a passion. Chartering, as an alternative, has both positive and negative aspects, such as notknowing the status of the yacht, an unfamiliar crew and the lack of control. 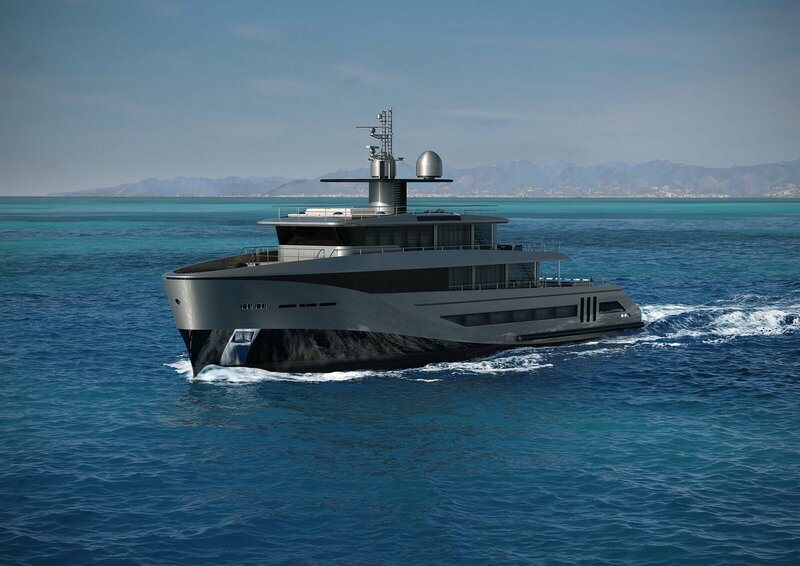 Having run the first Fractional Ownership fleet of superyachts for the last nine years, the new project is to manufacture three 43-metre yachts.  It is the result of suggestions and expertise acquired during our previous management. For this new project we aspire to solve those issues and restore the original joy of yachting by offering a new philosophy and financial approach to the notion of yachting. We are introducing two different ways of being part of our project; the first one through the acquisition of yacht shares (Fractional Ownership), the second through a long-term usage contract for set periods of time (Time-Sharing). Both options will give access to the same calendar and usage rules, but they will differ in the tax declaration and responsibility of the yacht property. Clients or Owners will be able to use permanently crewed yachts servicing the Mediterranean and the Caribbean for set periods. A fixed annual fee will coverall operating and maintenance costs for the entire duration of the program. Unused periods set out for each share may even be chartered out to thirdparties. The net revenue will be refunded to the relevant participant. Crew will be handpicked among the best to ensure that they are reliable and fully trained. On-board will be a captain, a first officer, an engineer, two deckhands, a chef and two stewardesses. The Floating Life Technical Team will be able to provide dedicated assistance, arranging for parts and technical purchase, liaising with Class and Flag State, and overseeing the overall maintenance guaranteeing the perfect efficiency of the yacht. 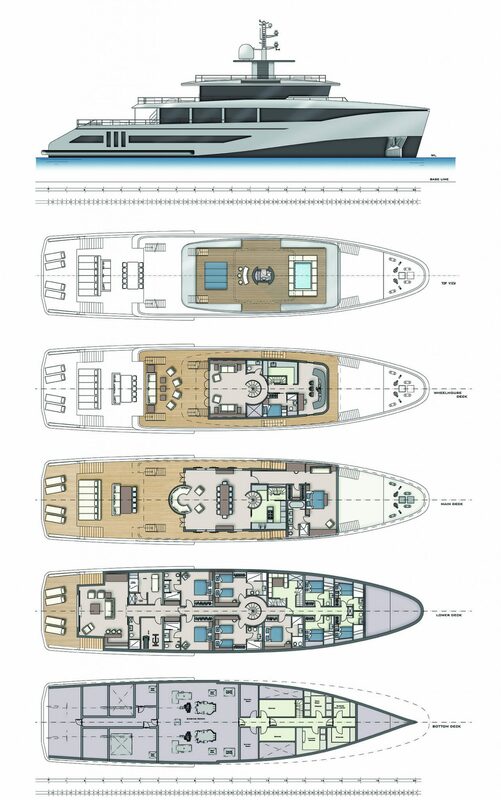 All operating costs (except for individual usage costs, such as food and fuel) will be shared and covered pro-rata between seven shares of the yacht. If clients wish to maximise financial viability, they can charter out their slots through the Floating Life Charter & Brokerage Team, receiving the net open market revenue. Floating Life intention is to optimise investments on a superyacht: Clients may charter out their unused periods through our brokerage structure. Being a MYBA member, Floating Life Charter & Brokeragehas access to the largest network of charter professionals and therefore access to the most exclusive calendar worldwide. Whether as Owners or as Time-Sharers, Clients chartering their slots will perceive a net income, which could be used to reduce their investments. A special feature of our program is the concierge, who will be offering a personalised service available to all clients, seven days a week. The Floating Life Concierge will take care of all requests ranging from restaurant bookings, massage services, hair stylists, golf links, exclusive clubs, and private transfers to and from the yachts with limousine service, private jet, helicopter and much more. Upon clients’ request, our Concierge will also provide tailor-made tours and excursions to provide owners not only the freedom to relax, but also to enjoy the entire vacation. 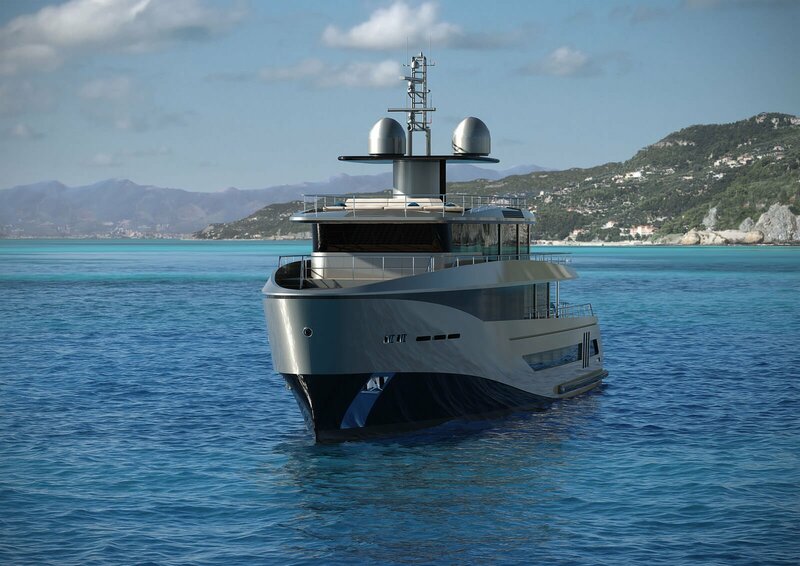 Designed with a steel hull and aluminium superstructure, the modern, dynamic lines of these 43-metre yachts will have a range of 5,400 miles in the utmost comfort. Great care has also been devoted to the yacht’s fuel efficiency and the low environmental impact during the construction process. The interior layout features generous and comfortablespaces. Relaxation and sunbathing areas are numerous with the owner having access to several external decks. The sundeck layout is equipped with a swimming pool and a bar. The main deck has a large alfresco dining area and sun area, which could also be converted to house a 9-metre tender dedicated to guests. 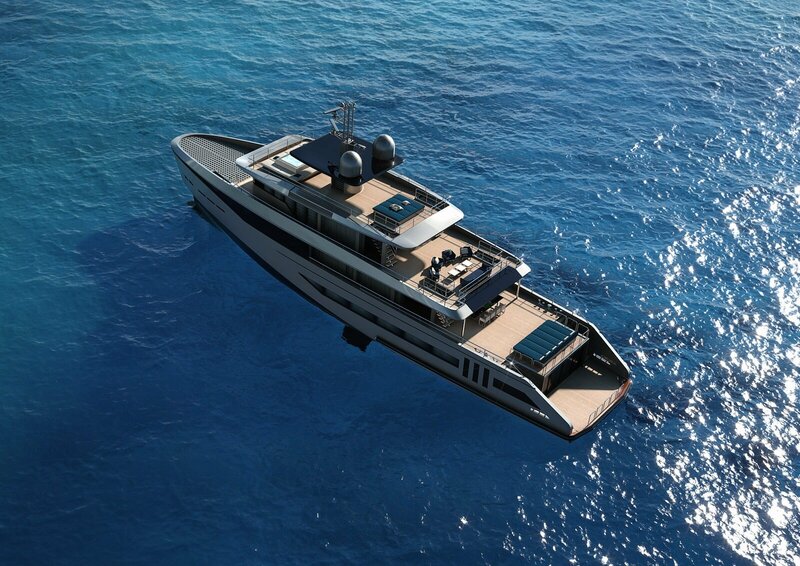 The Owner Suite will be located in the larger part of the hull to provide maximum comfort. The Lower Deck stern area, which connects the five guest cabins, will offer a beach club area that could also be converted into a cinema and bar. 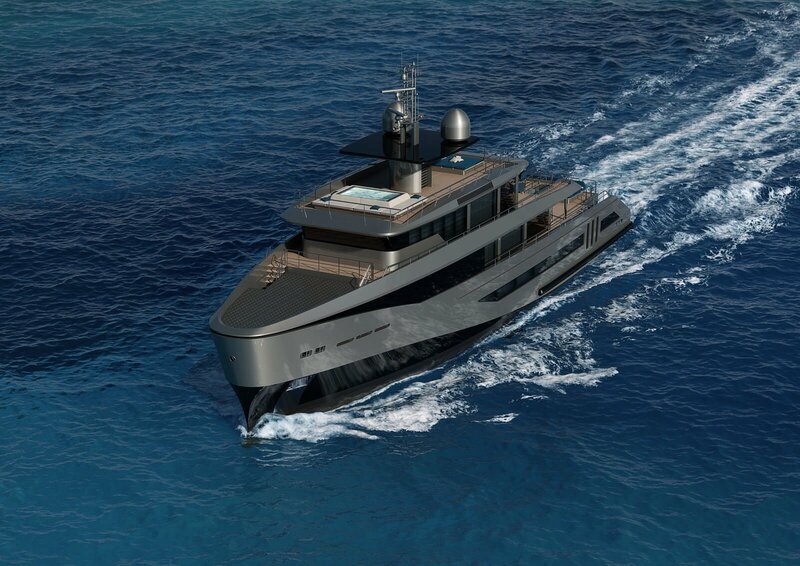 We expect to commence the first yacht construction within 24 months and have the other two yachts built at 12-month intervals. * Based on a nine-year management experience in the first Fractional Ownership, the membership will be divided in to seven shares. Each client’s allocation is of four timeslots per year: two ten-day cruises and two eight-day cruise. Each of the three yachts’ calendar will be synchronised so that clients have the possibility to enjoy their allocated period across the three yachts. ** The projected annual share of operating costs was calculated based on statistical data both on prolonged use in the Mediterranean and on dual-season use in the Mediterranean and the Caribbean. Costs to cross the Atlantic are also included. Built with the capabilities of a 5,400 miles long-range explorer vessel and subject to all clients’ approval, around-the-world tour that follows the continents’ summer seasons could be requested.